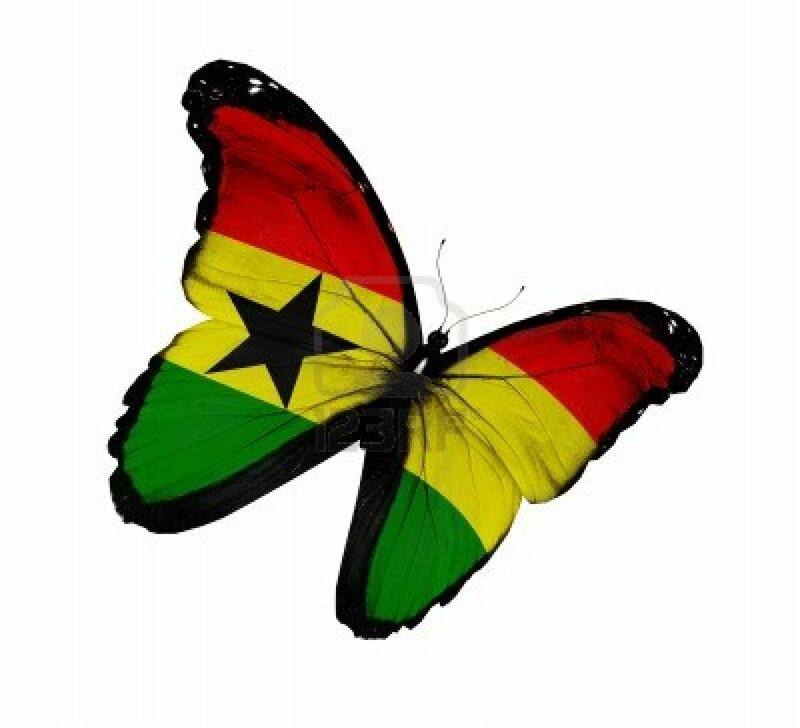 CHRISTOPHER FORSON’S INSPIRATIONAL VIDEO FOR PEACE IN GHANA & WORLDWIDE! Filed under: Christopher Forson, Ghana, Peace |	Comments Off on CHRISTOPHER FORSON’S INSPIRATIONAL VIDEO FOR PEACE IN GHANA & WORLDWIDE! 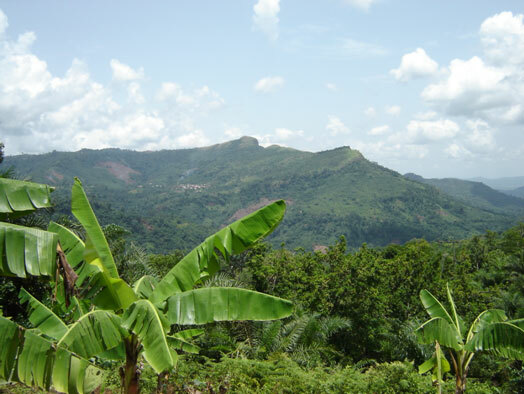 Christoper Forson is a young man living in Accra, Ghana. A facebook friend called my attention to him because he demonstrates the inner power to inspire and motivate others to reach for their dreams. He just completed this video. I am sharing it because my prayer is that Chris will soon receive the help he needs in order to fulfill his dreams. He has certainly overcome many challenges and emerged with a sense of profundity and caring for others. Way to go, Chris! Your video is beautiful! A second video by Christopher! 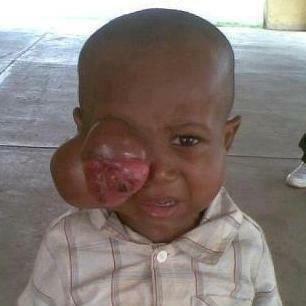 This brave little boy recently had surgery in Accra, Ghana to remove the tumor on his eye. While in the hospital, the doctors found another small cancerous tumor on his brain. His family did not have the money for a second surgery. After days of watching Solomon fall into and out of a coma and suffering severe pain, Pastor Daniel is taking him home to Benin, West Africa. The doctors have given Solomon medication that should slow the growth of the remaining tumor. 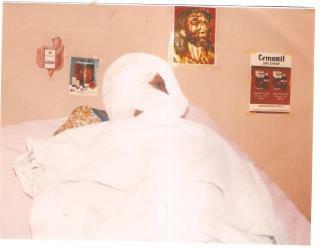 Because so many were praying for Solomon and many energy healers sent him long distance healing, I am choosing to view Solomon’s return home without additional surgery as an indication that Divine Order does not include more surgery. The medication will give Solomon’s own body time to heal itself, with our continued prayers. Pastor Daniel strongly feels that Solomon incarnated to be a leader for his people. This intuitive feeling reminds me of how the Tibetan Buddhist monks intuitively recognize their future Dalai Lama while he is a young child. ALL CHILDREN are precious; but, with Solomon, we may be praying for a future leader of the Beninian people. Thank you for your continued prayers for Solomon. I’ve asked Pastor Daniel to send another photo as soon as he can. Because so many of us, including me, tend not to know of all the countries in Africa, I’m including a map revealing that Benin is located in West Africa. 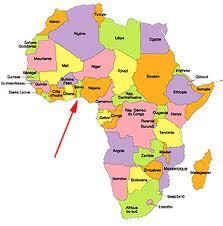 Pastor Daniel and Solomon’s Mother had to journey with him to Accra, Ghana for the surgery. 12 YR. OLD ANDREW WILL ASTOUND YOU! 12 YEAR OLD ANDREW WILL ASTOUND YOU! Andrew is a Fundraiser … You may want to contribute! 1. Fundraising activity with Ghanaian school children in basic & second cycle schools. 2. Arrival and reception of guest (i.e. TV Crew) from Los Angeles. 3. Launching of film for kids. 4. Visit to Children’s Hospital (i.e. Marie Louise Hospital). 5. Clean up exercise at Kaneshie 1st Light environs. 6. Visit to Parliament House. 7. Courtesy call on the former President Jerry John Rawlings. 8. Courtesy call on the former President John Agyekum Kuffuor. 9. Visit to the Children’s Wards at Ridge and Korle Bu Teaching Hospitals. 10. 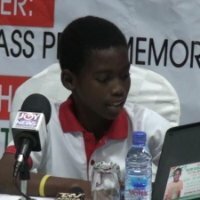 ‘One-on-one’ Appeal for donation at the Accra Shopping Mall. 11. Fundraising activity – ‘Float’. 12. Fundraising campaign in Salt Lake City, Utah – USA. 13. Musical Concert for fundraising. 14. Presentation of raised funds to UNICEF and World Food Programme. HE LEAVES MOST OF US STANDING IN THE DUST! 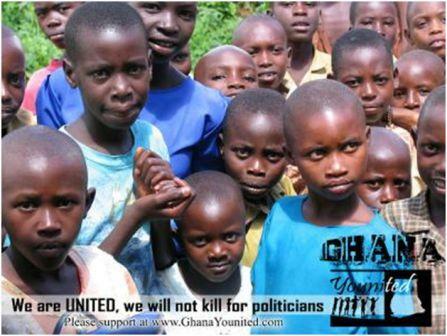 Filed under: Andrew Adansi-bonna, Ghana |	Comments Off on 12 YR. OLD ANDREW WILL ASTOUND YOU! The world is transitioning toward GESARA compliance. THE SOUND OF SILENCE SEEMS VERY TIMELY IN TODAY’S WORLD OF WAITING FOR SO MUCH! MAY WE JOIN TOGETHER IN UNITY & LOVE!